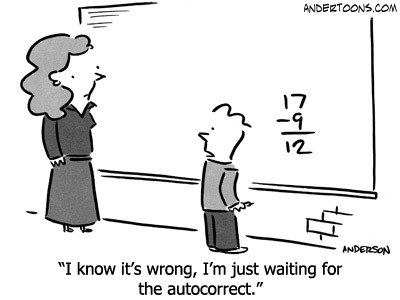 It's the small accomplishments that help student writers flourish. Celebrating Writers shows you how to build celebrations throughout the writing process, encouraging students to respond, reflect, rejoice, and support each other in their writing. Includes tips for using online social networks and 40 end-of-unit ideas. Preview the entire book! The Power of Our Words has shown thousands of teachers how to use language to build a classroom where students feel safe, respected, appreciated, and excited about learning. New second edition links teacher language to Common Core State Standards and offers more on using language to boost academic engagement and achievement. Learn more and order. 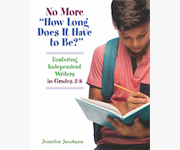 Help your young writers take charge of their own writing with Jennifer Jacobson's, No More,"How Long Does It Have to Be?" for grades 3–8. Order today and be rewarded with a more gratifying writing time for you and your students, no longer hearing those dreaded words: "How long does it have to be?" 3-Minute Motivators is a collection of over 100 simple, fun activities for any grade that will help you use "a little magic" to take a quick break, engage students, and refocus them on the task at hand. Click here to browse Chapter 1 online! Which of the Five Core Propositions most resonates with you? Share your answers by e-mail to opportunities@nbpts.org (through message or a 1-minute video) or answer via Twitter, tagging @NBPTS and using the hashtag #‎askannbct‬! Learn more. Responses from last month's "Ask an NBCT"
We seldom call anybody lazy, but such as we reckon inferior to us, and of whom we expect some service."